PennsylvAsia: Crash Course: The Arts and Culture of Japan, at the Carnegie Museum of Art in June. Crash Course: The Arts and Culture of Japan, at the Carnegie Museum of Art in June. 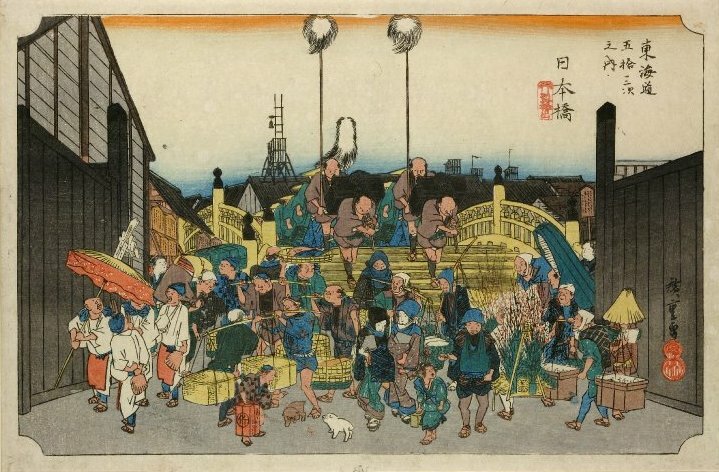 The Carnegie Museum of Art will hold weekly "Crash Course: The Arts and Culture of Japan" lessons in June to coincide with the Hiroshige’s Tōkaidō Road exhibition. Celebrate the rare showing of Hiroshige's Fifty-Three Stations of the Tokaido Road with a deep dive into the development and pervasive influence of Japanese art. The arts of Japan have long captivated artists, designers, architects, and other creative thinkers and makers around the world and over time. People from all walks of life have enjoyed Japanese-inspired objects and motifs throughout their homes. But why are the arts from Japan so compelling and why do they continue to fascinate us today? Starting with the woodblock prints of master printmaker Utagawa (Andō) Hiroshige, travel backwards and forwards to more fully understand the development of art forms considered to be unique to Japan. Explore China’s early influences on aesthetics and styles, Japan’s interest in harmony and nature, and the impact of trade with the West in the 19th century. The class meets on the four Wednesdays in June; morning and evening sessions are available. The cost is $48 for students, $72 for museum members, and $88 for non-members. The museum is located at 4400 Forbes Ave. in Oakland (map), accessible by buses 28X, 58, 61A, 61B, 61C, 61D, 67, 69, 71B, 71D, 75, and P3.